Max Mantel, the killer McQuaid put away years ago, has busted out of the Huntsville prison and appears to be headed for Pecan Springs. McQuaid knows there’s only one way to stop the vengeful convict—set a trap with himself as bait. China wants to stay by her husband’s side and keep him from harm. But McQuaid insists that she get out of town and go to the Last Chance Olive Ranch, where she’s agreed to teach a workshop on herbs. When China and her best friend arrive at the ranch, she learns the owner, Maddie Haskell, has her own troubles. She inherited the ranch and olive oil business from the late matriarch, Eliza Butler, but Eliza’s nephew is contesting the will. 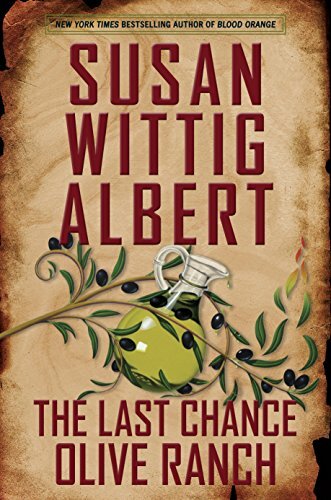 “The Last Chance Olive Ranch” sound like an exciting read and one that I’d love to explore. Thanks for the chance to win a copy.